I've mended something! Can you identify it? Guessed: it is a hand carpet puller. Co-worker gave up on it because the cap nuts were missing. I got some new ones and put some thread locker on them, should be good to go. 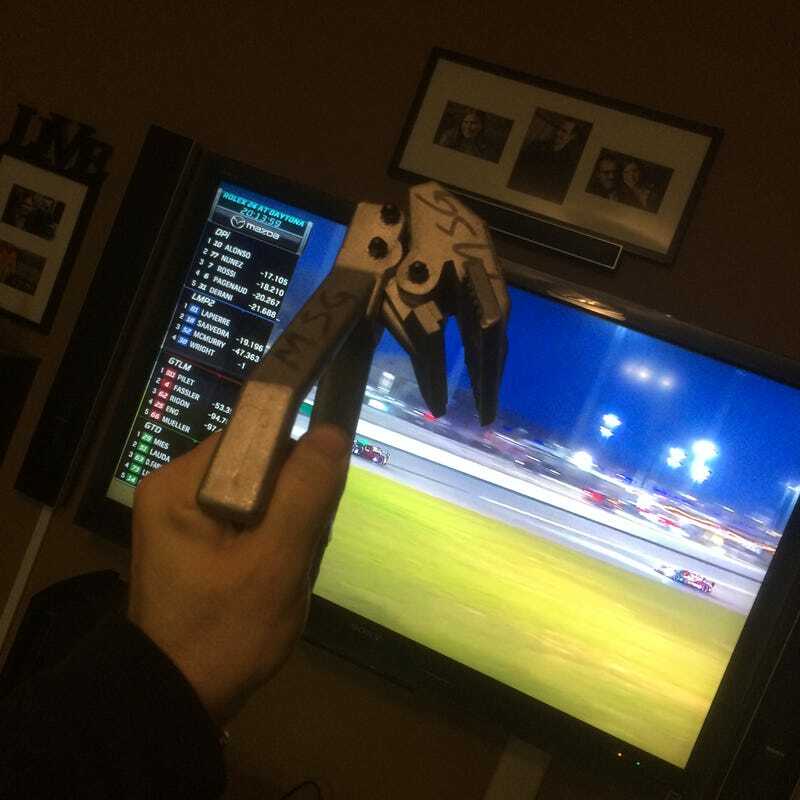 Can you identify what tool this is?